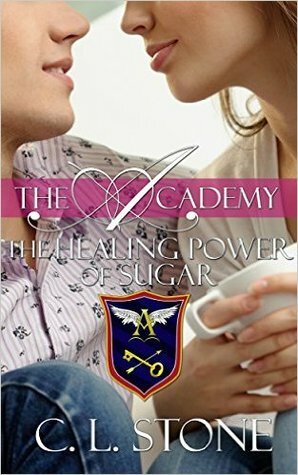 From USA TODAY Bestselling Author, C. L. Stone, read The Healing Power of Sugar, the ninth book in The Academy Ghost Bird Series. I tilted my head and shrugged, pretending I was better than I really felt. "New people and a new place," I said. "There's been a few surprises today already. I'm sorry if I'm acting weird." "You're acting like Sang Sorenson, which is exactly how you're supposed to be." He winked at me and squeezed my fingers between his. "I like you the way you are. An introvert. A bit shy. But once we're by ourselves, you open up. I like that. You're a little flower, pookie. You bloom when I'm around, which makes me want to be around you more." I FINALLY finished reading this book! I was totally stalling because I knew after I reached the end, there'd be nothing more but to wait for the tenth book to release. But then I was in the mood for some Ghost Bird, and... well, here we are. With some Dr. Sean Green love. He's one of my favorites. (That is such a trick statement. I have more than one favorite. Like, Mr. Blackbourne. And North. And...) Love him, and this book!